"Case Grande"! 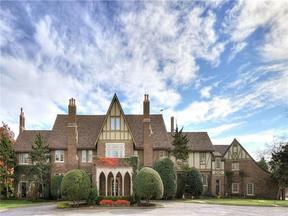 Grand in scale and beauty; rich with architectural detail and superior craftsmanship. Dramatic foyer invites you into an expansive space with impressive staircase, intricate moldings, opulent finishes and original exotic woods. Other rooms feature marbles crystal, hand-hewn beams, imported light fixtures and cathedral windows. 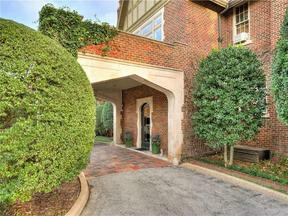 Numerous fireside living and sleeping areas offer immense character and charm. Kitchen boasts incredible marble countertops, wood insets, brass fixtures and numerous expansive workspaces sure to impress any culinary artist. 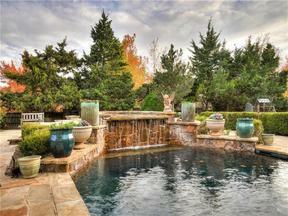 Wonderful backyard offers large expansive lawns and gardens with beautiful pool and waterfalls. Outdoor kitchen and dining area for entertaining large crowds or dining al fresco. Relish the opportunity to view this spectacular gem!